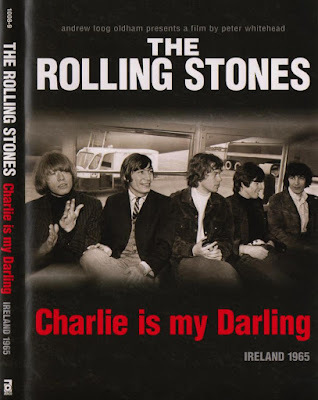 Andrew Loog Oldham and Peter Whitehead's The Rolling Stones: Charlie is my Darling - Ireland 1965 covers a mini-tour of Ireland -- fifty years ago -- in black and white. This nifty bit of cinéma vérité clocks in at a little more than an hour. Even in black and white, the Stones colorfully burst through a threadbare socioeconomic backdrop. The people and culture of the UK and Ireland are just then beginning to emerge from the grim preceding era -- of two world wars and the Great Depression, not to mention the Irish Civil War. 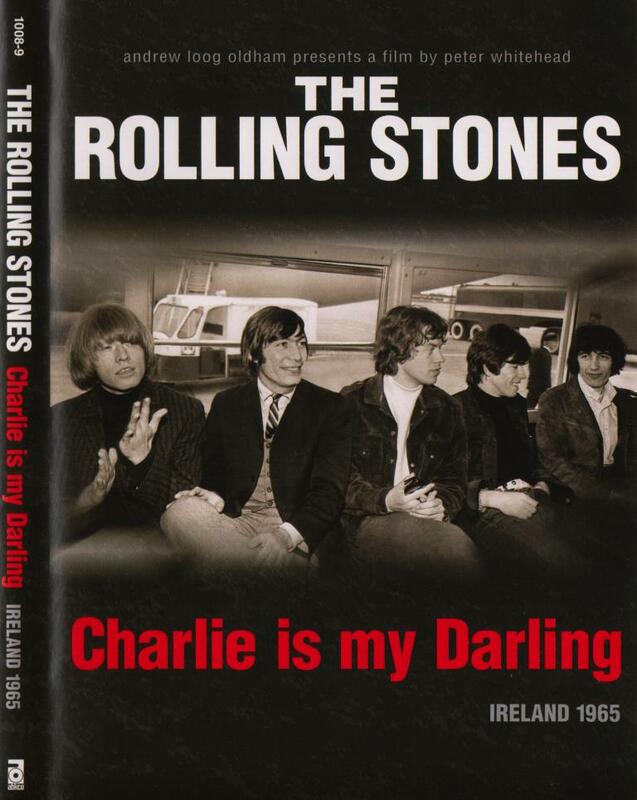 In between wild music sets, Charlie is my Darling lets each member of The Rolling Stones say something. 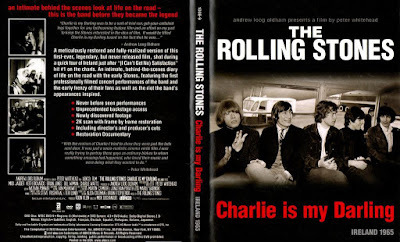 In this original lineup of the band (but not including keyboardist Ian Stewart), we hear from Mick Jagger, Keith Richards, Brian Jones, Bill Wyman and the beloved Charlie Watts of the title. Two things stand out about the band during this 1965 Irish tour. First, Brian Jones is already fairly well checked out. He doesn't see much of a future and seems almost schizophrenic much of the time (when present at all). Second, Mick Jagger is the clear leader of the band, and for good reason. Considering that he was only twenty-two years of age at the time of filming, his observations are thoughtful and even visionary. He speaks of the social fabric of fifty years before (1915 -- during The Great War) and how things might be fifty years hence -- in 2015, when The Rolling Stones are even now still touring. The other three lads -- Keith, Charlie and Bill -- are going with the flow and keeping at the music. Today, fifty years later, Mick, Keith and Charlie are still in the band and still seem about the same as they were in 1965, albeit with fifty years' worth of road mileage behind them. Bill Wyman retired from the band in 1993 when he was in his mid-fifties. The quixotic Brian Jones died in 1969 at the age of twenty-seven. Ian Stewart died of a heart attack in 1985 at the age of forty-seven. Charlie is my Darling is a jagged but durable time-piece that adds to the solving of a larger puzzle: how does one best absorb, understand and appreciate both change and continuity? Today's Rune: Possessions. p.s. 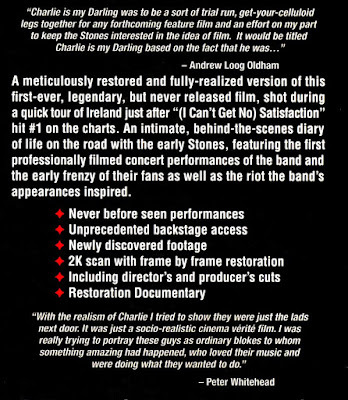 Andrew Loog Oldham departed from the Stones' production and management team within two years of Charlie is my Darling. 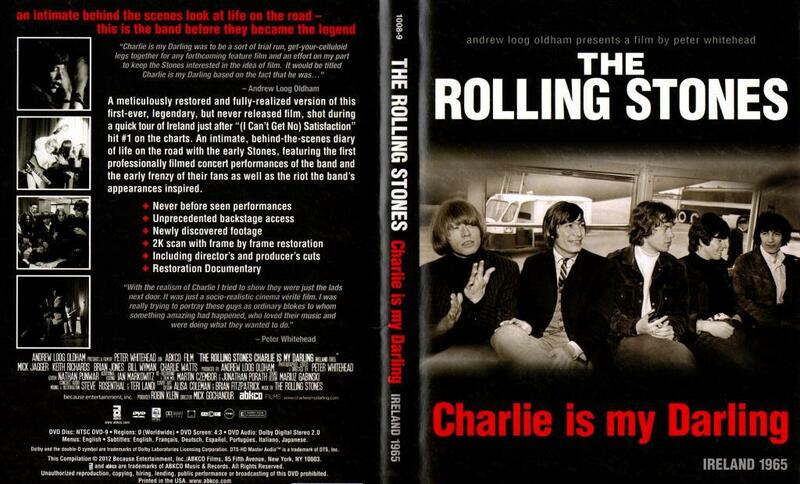 Peter Whitehead, the director, continued to work with the Stones for a little bit, and he also worked with Pink Floyd. Gotta say I've always liked the Stones. This sounds quite fascinating. 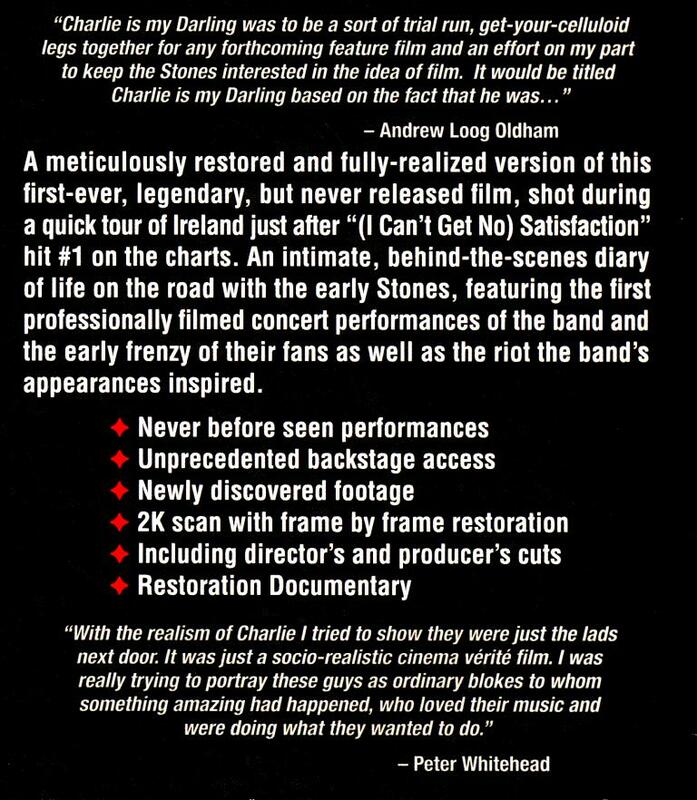 Despite the fact that I am torn between cheering on the Stones for their longevity and wishing they would just retire gracefully, I still love their earlier music. Thanks for this! Erik-friends are trying to drag me to the Stones concert coming soon to Detroit. I saw them at the Superbowl and that was enough for me. I seem to only like their very early stuff.